This book illustrates which nonverbal clues telegraph untrustworthiness and deception and which radiate sincerity and compassion. 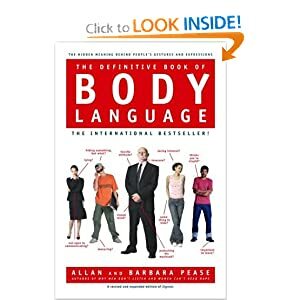 This international bestseller reveals the secrets of nonverbal communication to give you confidence and control in any face-to-face encounter. Discover how to enhance your impact as an executive using non-verbal communication, taught by an expert in body language. See tremendous results in your effectiveness as a leader. Get the advantage over your competition! 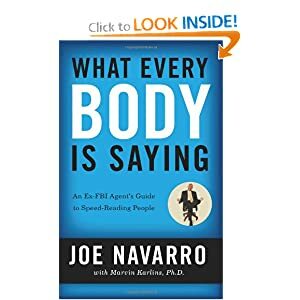 Former FBI agent Joe Navarro spent 25 years catching spies. If his techniques can crack foreign intelligence agents, imagine what they can do for your job interview! This DVD is very informative and highly entertaining and will give you and your team an edge in all human interaction. Learn what it takes to look, sound, and act like the executive you know you are. Find out how to decode your co-worker's diverse communication styles and be the hero in diffusing inevitable disagreements. This book provides a concise look at the nonverbal messages that take place in the workplace.